Sport wheelchairs are nothing new, but most of them are sport-specific and not really meant to be used for everyday mobility as well as sports. Designer Joven De La Vega has come up with an impressive design that was modeled after sport bicycles to be sturdy, fast and rugged. 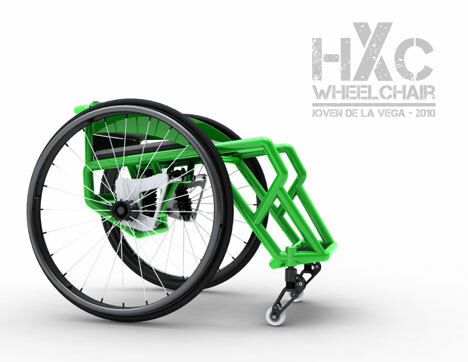 The HXC Wheelchair, like BMX bikes, is meant to be able to go just about anywhere. It lets users do things that most people never thought a wheelchair could do. The integrated casters, built-in footrest and sturdy front lip are all meant to add a sporty element to the HXC Wheelchair. Utilizing these unique features, users can use the HXC to perform tricks just like skateboard and bicycle athletes. The HXC’s design is pared down to contain only those features necessary for speed, stability and safety. 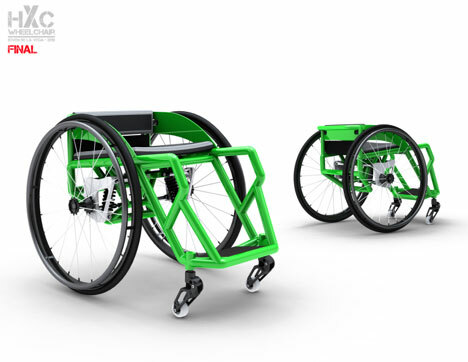 The short backrest provides a freer range of movement while the protective back rail doubles as a pushing bar. The tubular steel frame and slightly in-turned wheels make for a stable but fast ride. 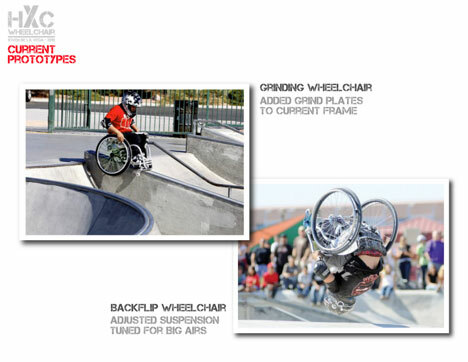 Prototype HXCs have been tried out by disabled athletes, and special prototypes have been made to facilitate certain sports and tricks. De La Vega’s exceptional design is a welcome change from the standard wheelchair; one that acknowledges the fact that being in a wheelchair doesn’t meant losing one’s sense of adventure or taste for extreme sports. See more in Industrial Design or under Technology. July, 2010.